Isn't She Lovely: Blogging extension? I know what you're thinking....two posts in one week! I know, I am really proud of myself. Ok so a while ago my friend Leigh and I threw around the idea of starting a mommy blog. 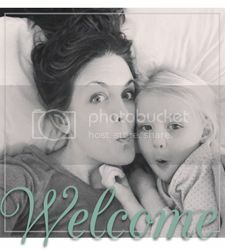 You know, one of those blogs where you could go and learn about all sorts of fun things having to do with being a mom from two brand new moms who kind of muddled their way through it? Yea so, there are MILLION of these types of blogs with moms telling you their side of the "story" and they can be incredibly helpful. So why did we want to throw ourselves into the mix? Why not? I think the problem we had was trying to get our acts together and get it done, together, and it just never happened. SO, I have decided to sort of toss in my two cents about all things mommy on this blog. I am one of the first of most of my girlfriends to have a baby and you guys are the only ones reading this anyway (besides my family). There are a few veteran moms that read this I think, so they can weigh in at any point with even more info to boggle the weary minds of newbies. I have said in the past that I really didn't want this to become a mommy blog. I wanted to stay true to the overall random and chaotic nature of "this is our lives" storytelling. I still want that. Therefore, I have devised the following plan and I need any and all readers to tell me if this is a horrible, fantastic, or just irritating idea. No worries. I can take it. I REALLY want to be an avid blogger like I was in the beginning. My plan is to really, really make that happen. So throughout the week I will do just that. However, let's say every Tuesday I will post a mommy post. It may be long, but I will label it "mommy" along with any other labels that coincide so that if you get pregnant, are about to have a baby, or just had one you can just click the mommy label and check out whatever it is you would be interested in reading. Deal? Here is my dilemma. I am also doing this on a very selfish level. Getting pregnant/having a baby turns you into a complete moron. Not in the book smarts area, but just in daily life. I want to recount every step so that the next go round I have my very own reference guide for things I am SURE I will forget (if I haven't already). I am just not entirely sure how to backtrack. I mean, I can try to remember most things and would love to write about them, but that would be a lot of blogging about things that are over a year old now. I would somehow need to play catch up to now. I may just have to write a slew of really long blogs that you can just skip if you aren't interested in or save for a rainy day or something. Thoughts? Well, tomorrow is Tuesday so I am going to stew over it tonight and see how I feel. Any suggestions are appreciated. Sounds like a plan! I look forward to reading it all! Wait a second! So I'm just now getting to check the blog this week and there are 2 posts for me to read! I love it! Well the last part at the end says, "Well tomorrow is Tues so we'll see." So I just did a double take at my watch and as I'm reading this it's now Thurs, so what happened to the Tues Mommy blog?